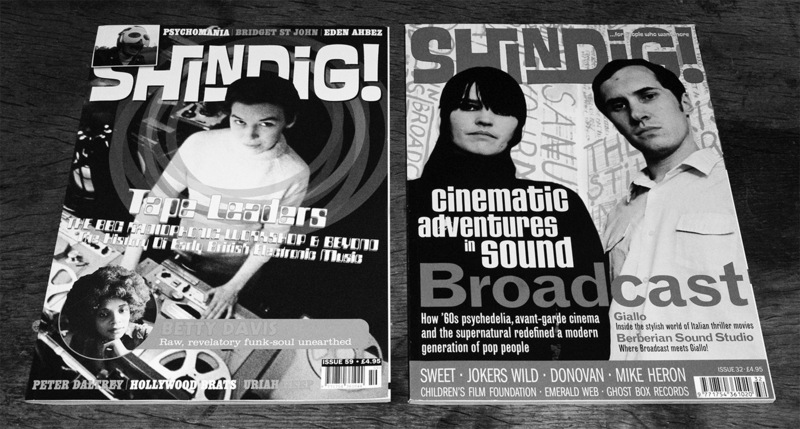 Issue 59 of Shindig! 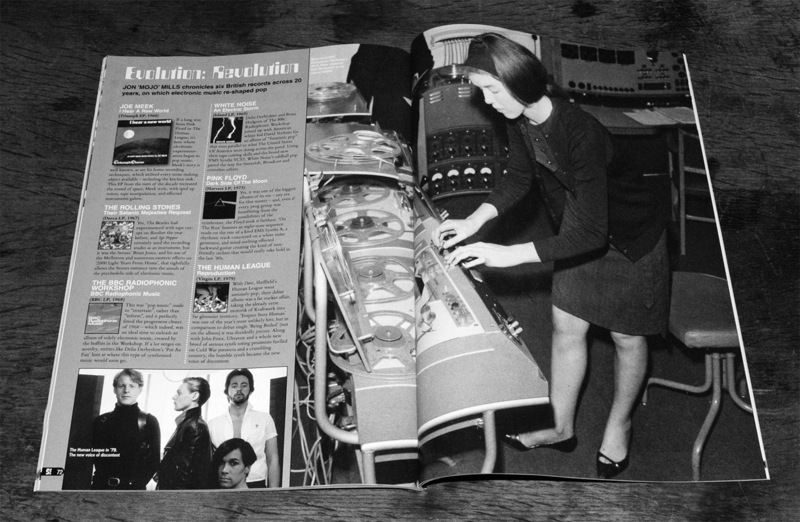 magazine has as its main cover image electronic music innovator Delia Derbyshire and the strapline Tape Leaders – The BBC Radiophonic Workshop & Beyond – The History Of Early British Electronic Music. In many ways this issue could well be seen as a companion piece to issue 32 which featured Broadcast on the cover alongside articles on Ghost Box Records, giallo film, Berberian Sound Studio, Mike Heron of The Incredible String Band, Children’s Film Foundation, synthesizer and new age music innovators Emerald Web etc. While experimental electronic music, hauntology and the outer reaches of folk often make an appearance/are intertwined in amongst the more 1960s-esque, psychedelic, prog and garage rock side of Shindig!, in these two issues those aspects are more overtly foregrounded. 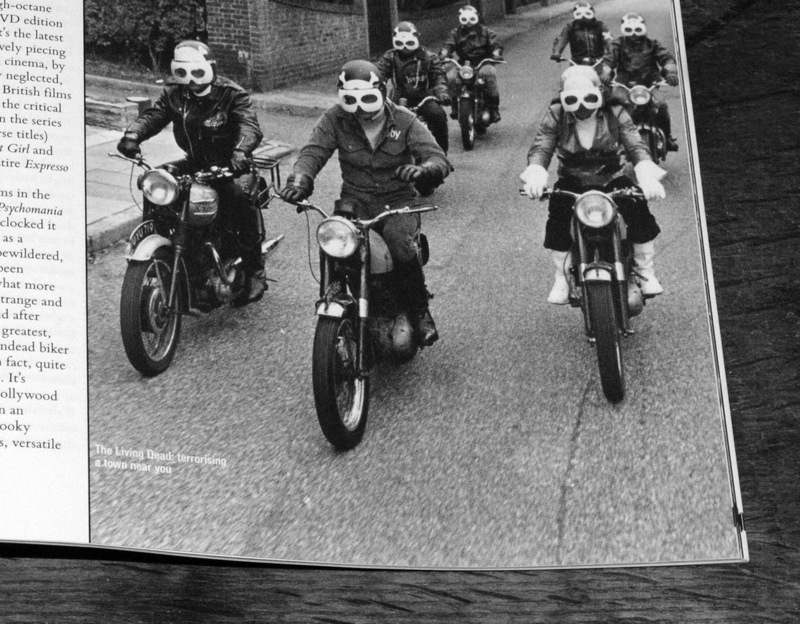 Along which lines Issue 59 also features the likes of an article by Vic Pratt on cult undead-in-the-British-countryside-and-provincial-town biker film Psychomania from 1973, around the time it had a restored brush’n’scrub up release by the BFI’s Flipside imprint and 1960s/1970s baroque folk artist Bridget St John. 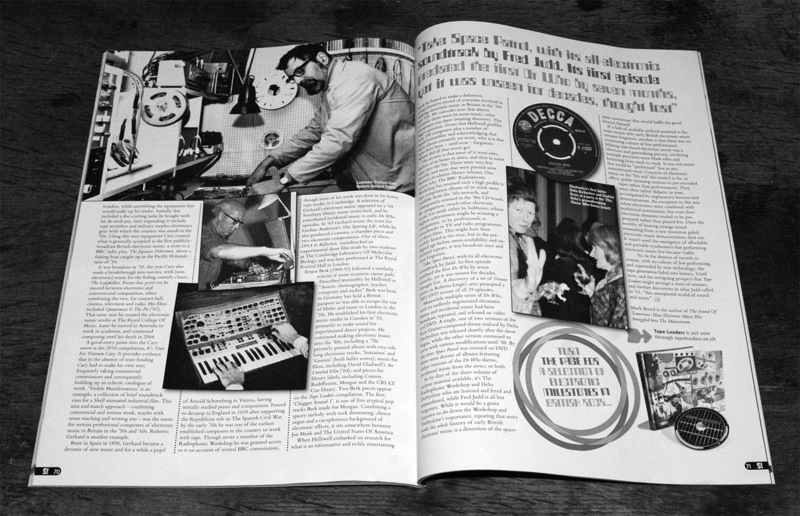 While the magazine’s lead article is Out Of The Ordinary which is an intriguing and layered overview of the history of British electronic music. The article was written by Mark Brend, author of The Sound of Tomorrow: How Electronic Music Was Smuggled Into The Mainstream and takes as its starting point the release of Ian Helliwell’s book and CD Tape Leaders: A Compendium of Early British Electronic Music. Just to add to this issue’s hauntological aspect and related interest in certain aspects of previous era’s television, there is an article by David Dent on once semi-lost late 1960s television series The Tyrant King (directed by Mike Hodges of Get Carter, with more than a touch of psychedelia, a dash of Swinging London and a then rather hip soundtrack courtesy of Pink Floyd, The Moody Blues, Cream, The Rolling Stones and The Nice). …oh and even an album which takes as its theme decommissioned and abandoned Cold War infrastructure… or more precisely The Quietened Bunker, which was put out by our good selves. 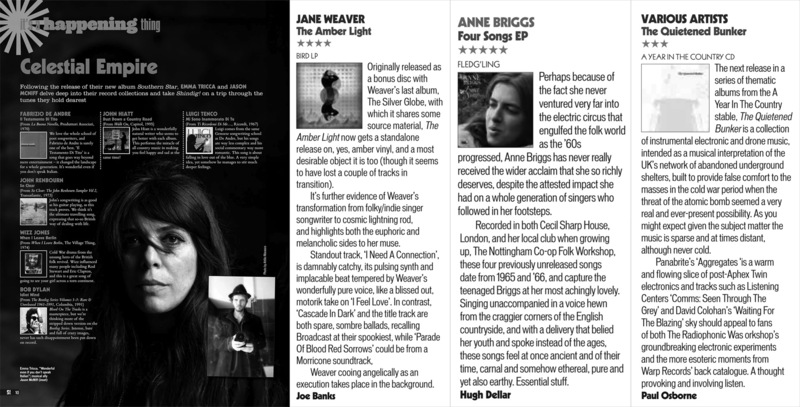 …the issue also features a piece called Evolution: Revolution, where Shindig!’s editor-in-chief Jon “Mojo” Mills considers two decades of records where pop was reshaped by electronic music, taking in the likes of Joe Meek to early Human League, via Pink Floyd, The Rolling Stones, The Radiophonic Workshop and the Delia Derbyshire/David Vorhaus collaborative album An Electric Storm by White Noise. It’s interesting how all such things have come to travel alongside and intertwine with one another… from Radiophonic-esque electronica, to hauntology, to acid/psych/exploratory folk via psychedelia and so on… not necessarily obvious bedfellows but somehow these quite separate cultural strands come together and compliment one another.